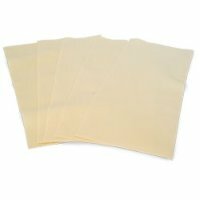 Diaper doublers are absorbent layers of material, usually in the shape of a long rectangle, that you lay in a diaper for added absorbency. Doublers can be a great addition to any cloth diaper stash. I love adding them in with prefolds and flats or my sons night time diapers. You can beef up the absorbency to any diaper with a doubler. 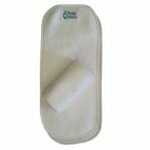 Diaper doublers can be made with any absorbent material such as cotton, bamboo or hemp. I have found hemp to be the most absorbent and trimmest for doublers. You can also get them made with microfiber that you can use in pocket diapers, or you can wrap it in a prefold or lay it under another layer of fabric so long as it doesn't touch your babies skin. Microfiber will take away the natural oils in your babies skin so you don't want to lay it directly next to them. You can also find doublers that are topped with a stay dry material such as fleece or velour. Velour isn't exactly stay dry, but it does help keep babies skin from feeling as wet. I love fleece topped doublers and they are great for nap or night time, or if your baby is sensitive to being wet. 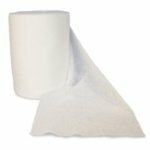 Diaper liners are a single layer of a stay dry materials. They are made to let wetness pass through and help keep babies skin dry. Liners can be made of fleece or raw silk. Reusable liners are shaped like a doubler - a long rectangle. They are not made to add any absorbency at all. Fleece liners will cost about $1 a piece and raw silk will be about $2.50 each. You can easily make your own fleece liners by purchasing some fleece at your local fabric store and cutting it into rectangles. Diaper Liners also come in a biodegradeable disposable option. You can purchase a roll of 200 for about $10. To use liners you just tear one off the roll and lay it into the diaper. Diaper liners are good for when you you don't need any extra absorbency but do need stay dry protection. They are thin enough to not add any bulk to diaper, which is nice.